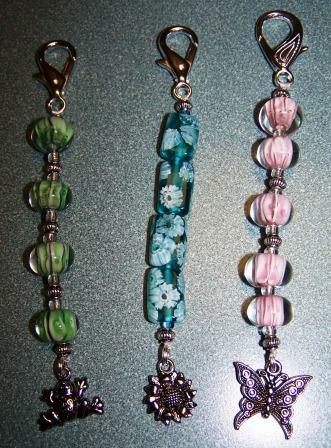 The beaded scissor fob class will be held on the weekend of February 16-17. These are so pretty...and so quick and fun to make. 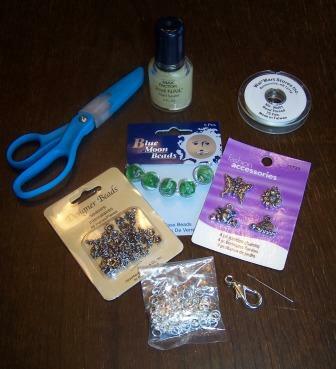 Edited to add: I have found all of my beads & beading supplies at either Hobby Lobby, Michael's or Walmart. The charms that I used were from Walmart, and the glass beads were from Hobby Lobby. Any of the places mentioned carry spacers, jump rings, and beading thread. I am pretty sure that the large lobster claw clasps were found at Hobby Lobby. They have their stock organized more by brand then category, so you may have to check in a couple of different spots in the beading aisle. The ones that I used measure about 1 inch from end to end, and about 1/2 inch wide.